Warm. Comfortable. Inviting. Explore your home-away-from-home at our House. 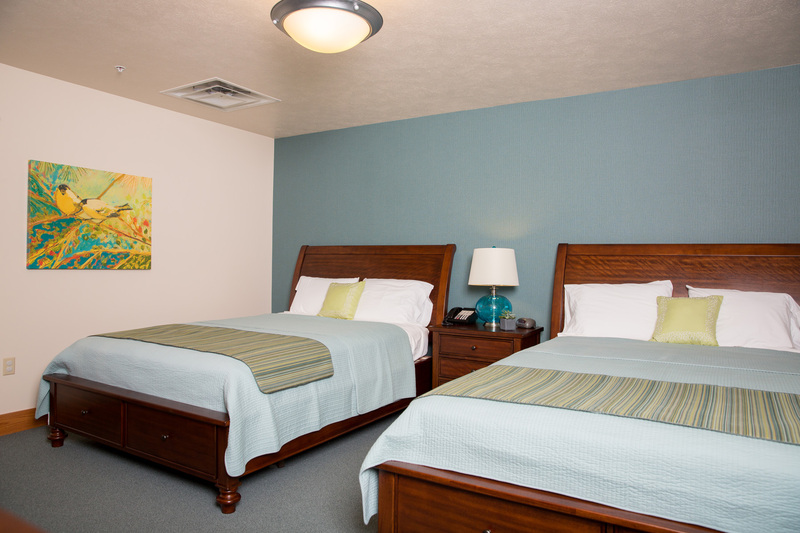 Each of our rooms and common spaces have been renovated to make you feel right at home. 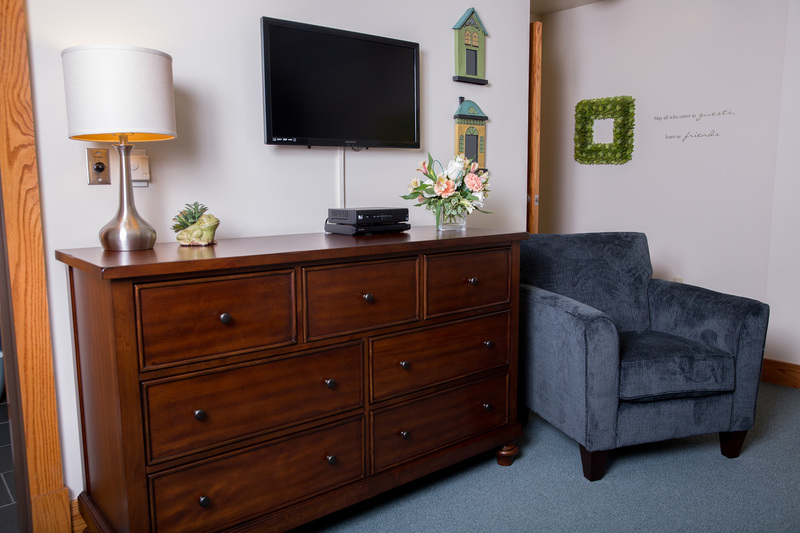 Located 480 walking steps from Sparrow Hospital, our House offers a convenient, inviting, warm home for families who are taking care of their healing children. 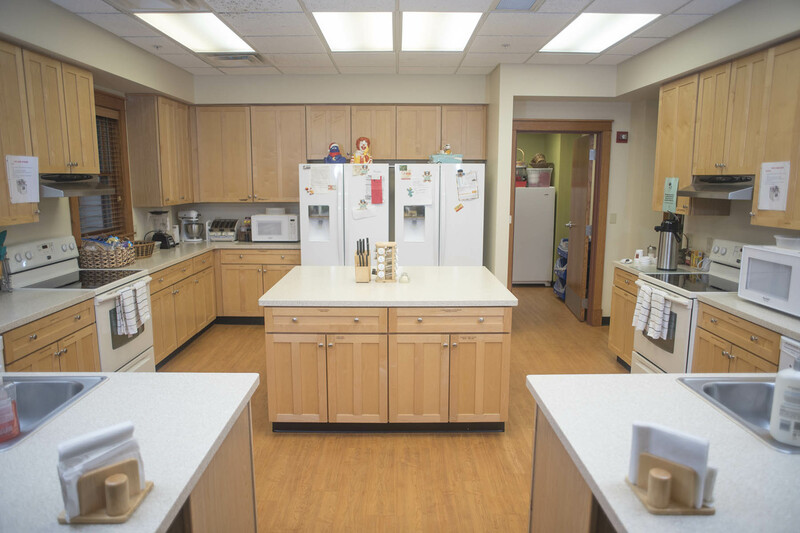 Our House frequently offers tours for interested volunteer groups, donors, medical professionals and others. If interested, please contact us for a tour. Decompress in your own suite, or come down to the common areas for company. 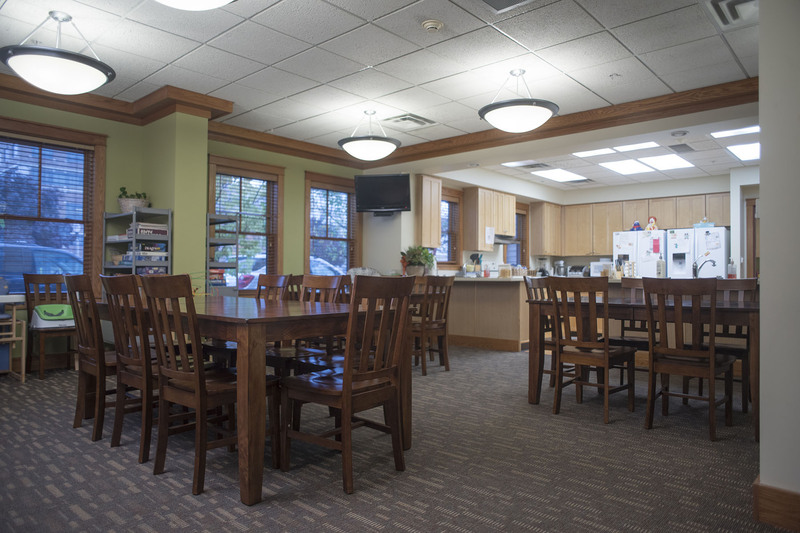 The common area includes a full kitchen. 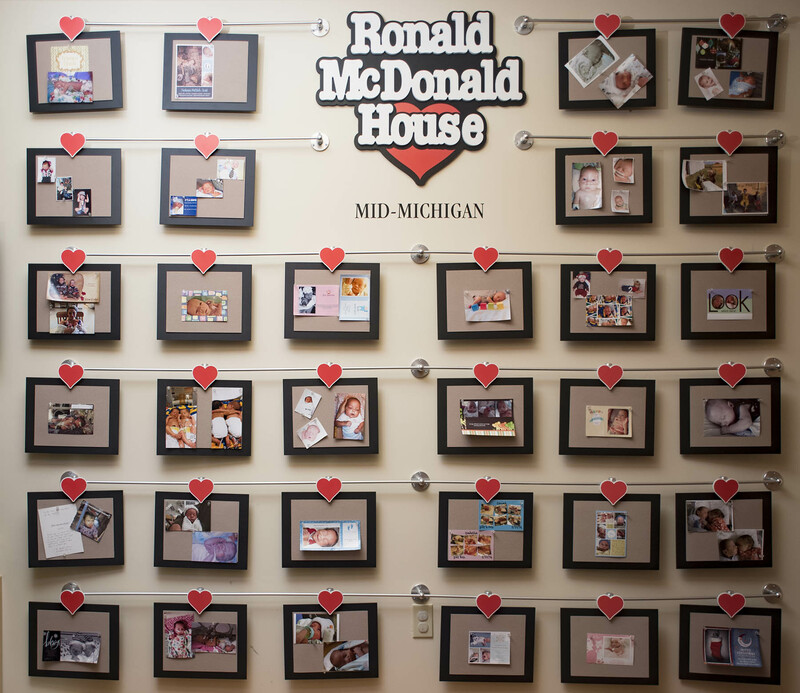 Stop by our wall of family stories. 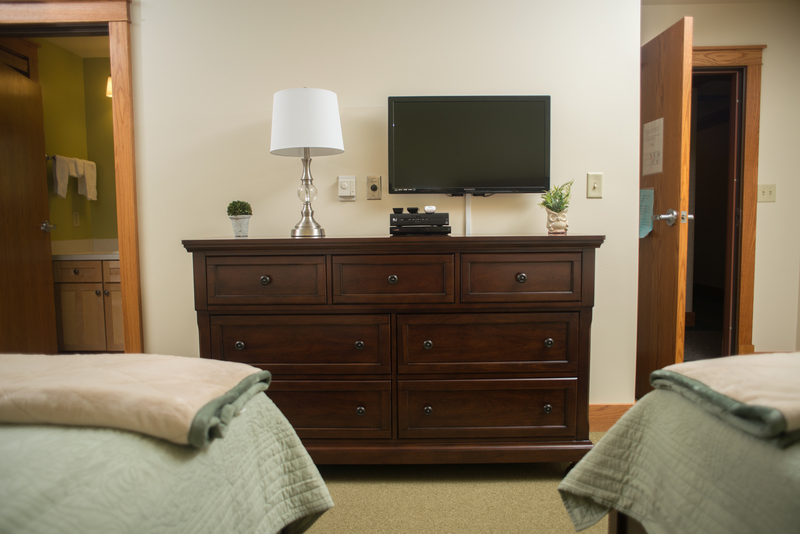 Suites include amenities like televisions so you can relax in a private setting. 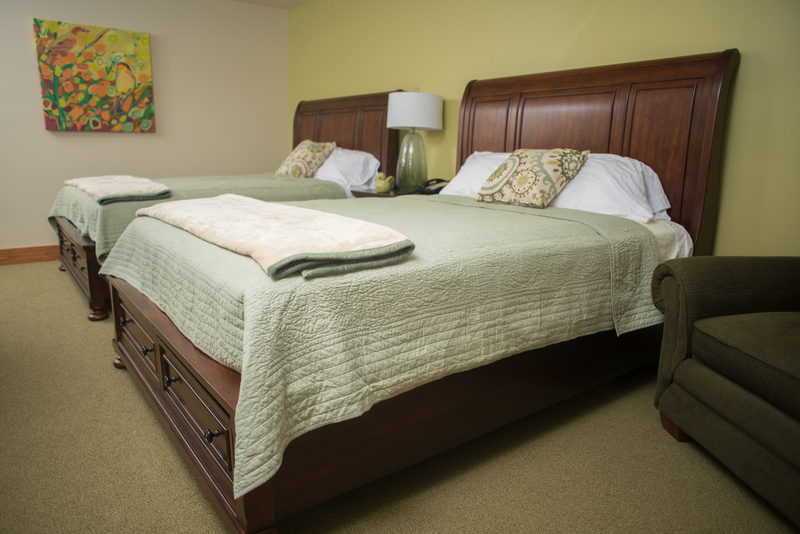 We'll make sure you have comfortable beds and clean sheets during your stay. 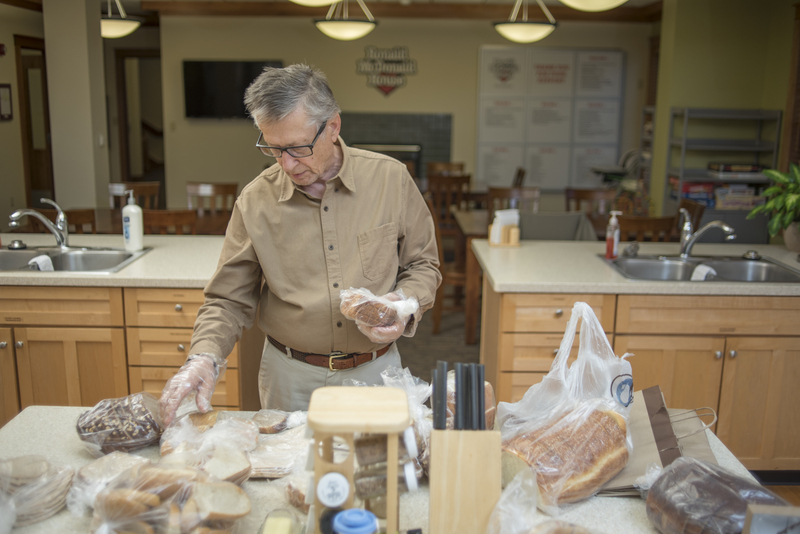 Our volunteers will keep you well fed at the house. 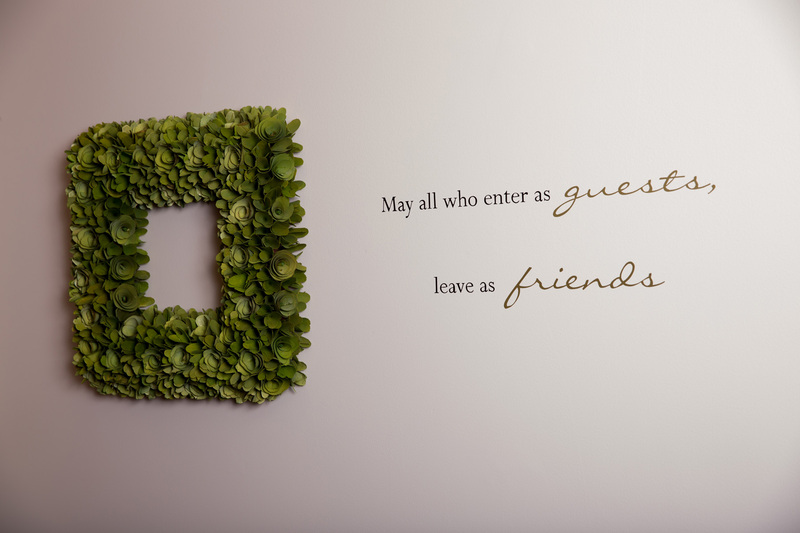 No matter which suite you use, we will make you feel like you're with friends. The house includes a spacious family dining area near the kitchen. 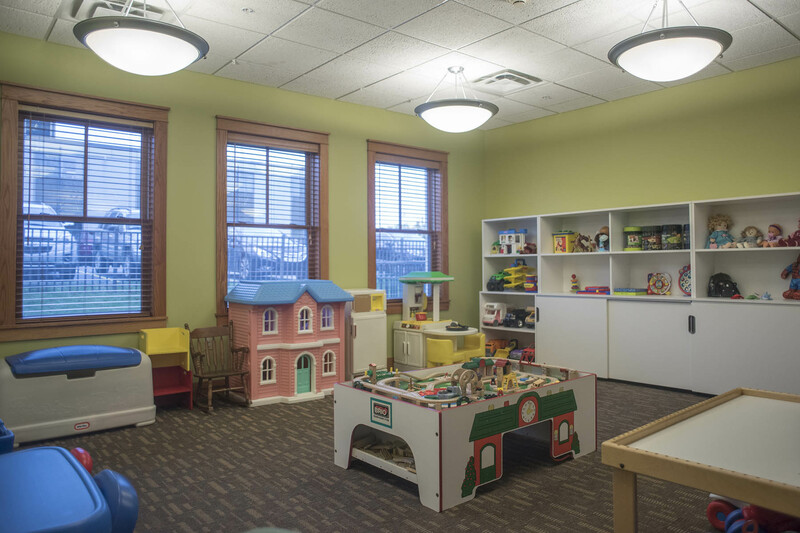 A comfortable playroom is available for families to use. 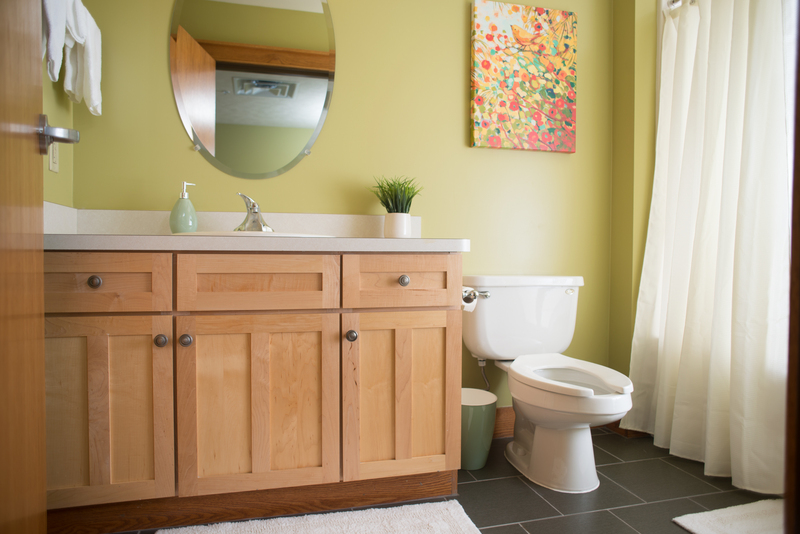 Each suite at Ronald McDonald House includes a private bathroom. 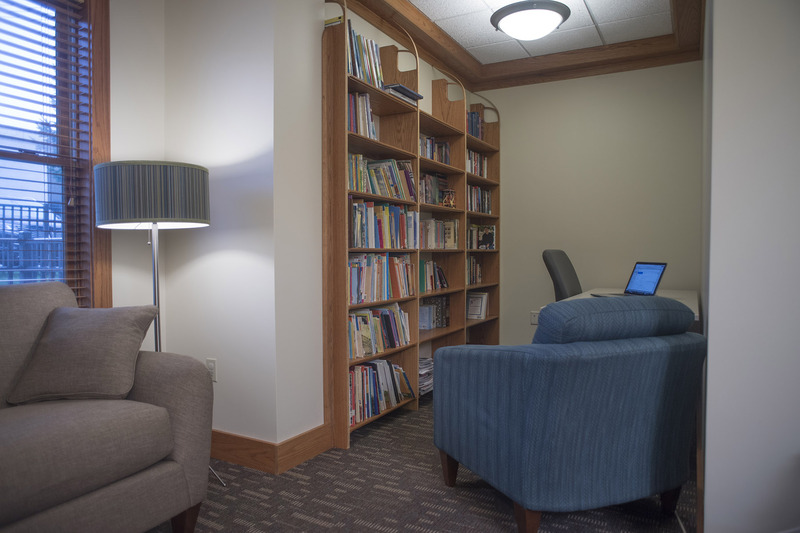 The common area's library includes a range of reading materials for all ages!